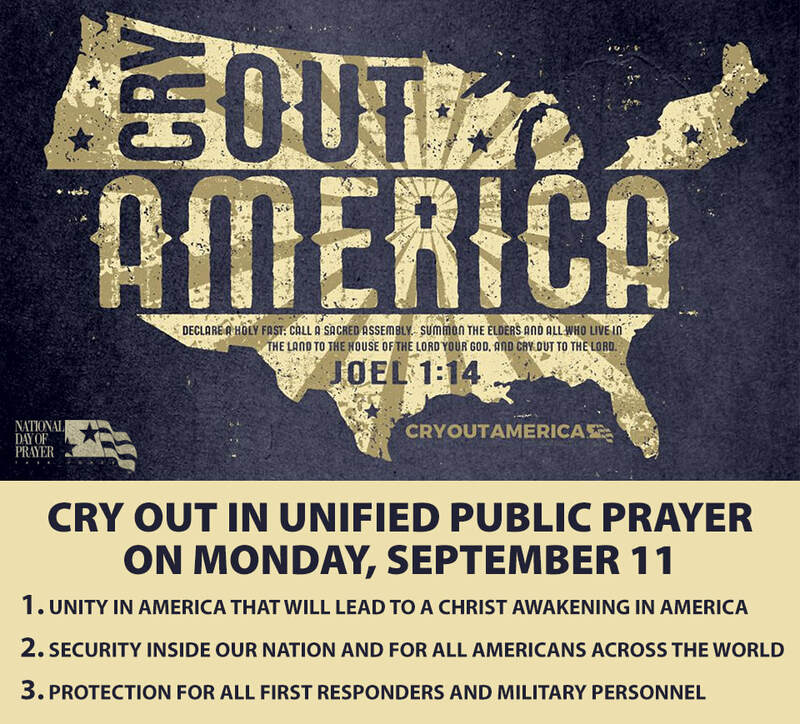 CRY OUT AMERICA is a prayer initiative that began after terrorists attacked our nation on September 11, 2001. These planned attacks resulted in nearly 3,000 deaths, 400 of which were police officers and firefighters. Since that day, America and the world have never been the same. ​Cry Out America reminds us of these attacks on our nation and of our desperate need for God each day. As America remembers this day, we need to see it become a day where millions of Americans join for a few moments in various locations to cry out to God for our nation. Prescott Community Church will be holding a prayer gathering in the sanctuary at 12:15-1:00 p.m.
We want to call out to join in agreement for three major needs in our nation that coincide with our continual needs since 9/11. Whether in your personal life or prayer gatherings you participate in on this day, please agree in prayer with thousands of others who are praying for our country. On Monday, September 11, 2017, at 12:00 p.m., there will be a Cry Out America rally in Daley Plaza in Chicago, Illinois. You can watch live at 12:00 p.m. CST at: http://www.nationaldayofprayer.org.